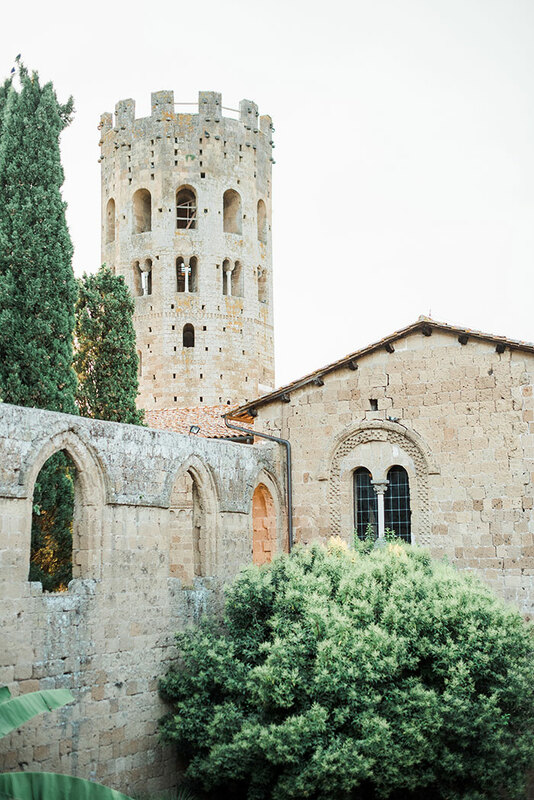 From the small town of Orvieto you can spot the La Badia Di Orvieto, a 12th century abbey tucked in between the green rolling hills and small local vineyards. 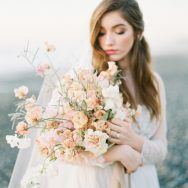 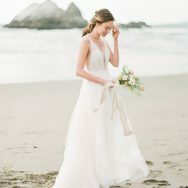 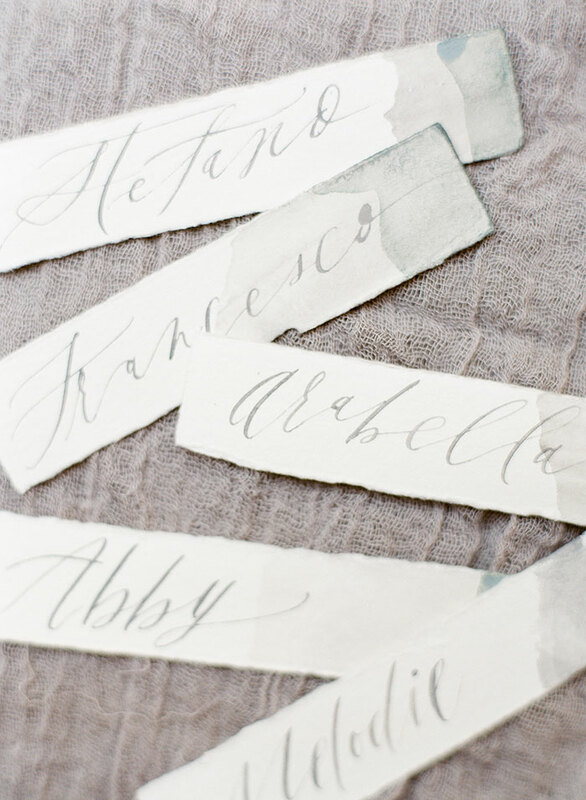 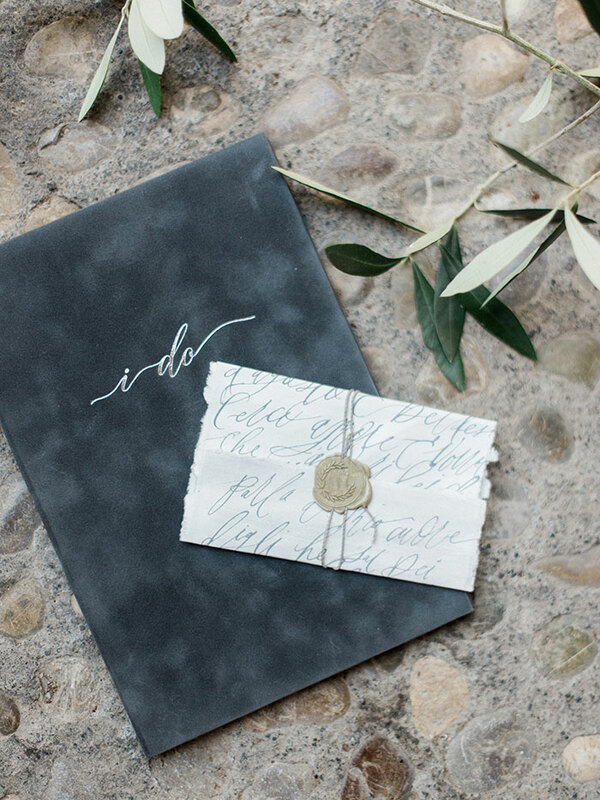 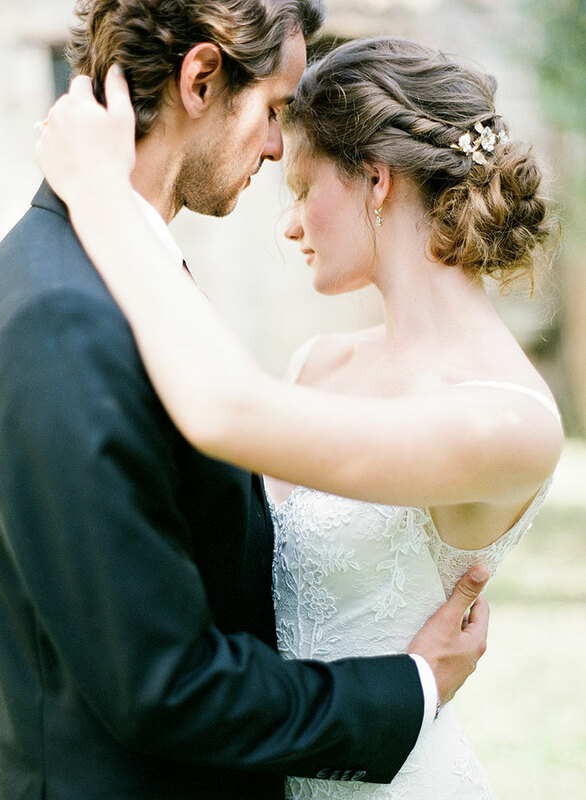 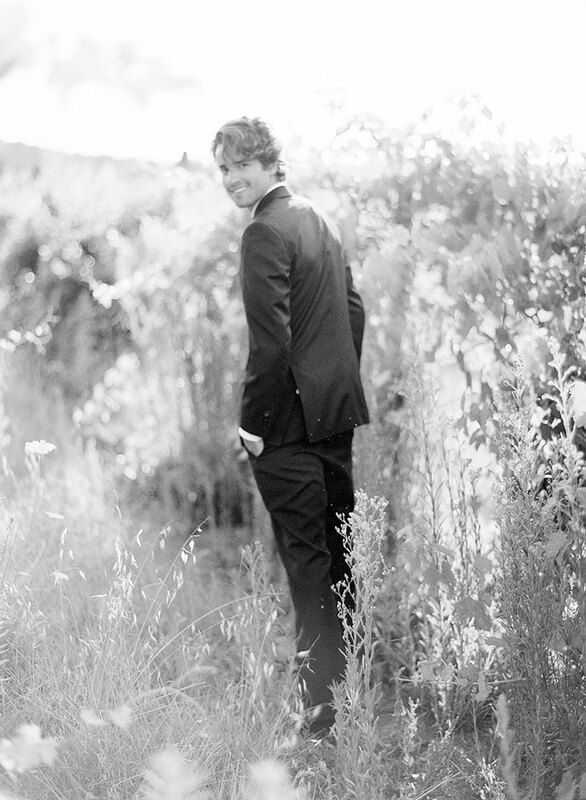 The scene is breathtaking and Grey Collective member Molly McKinley Designs has created an editorial celebrating it. 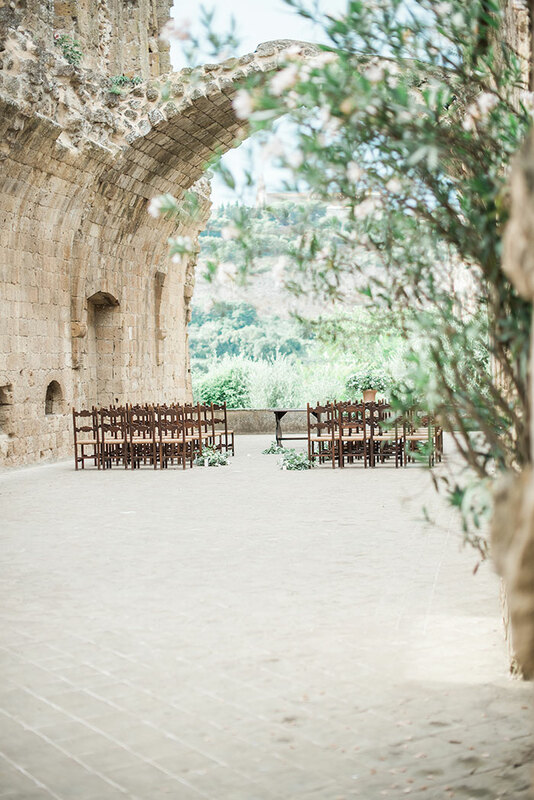 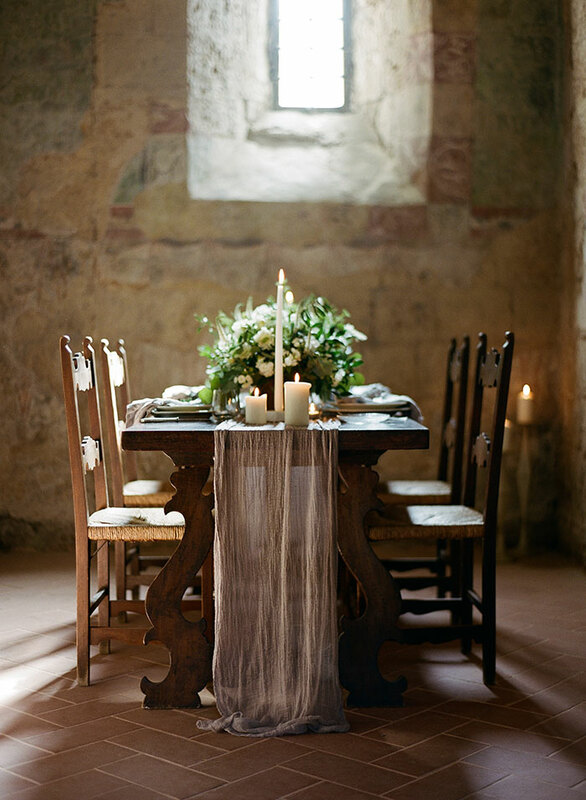 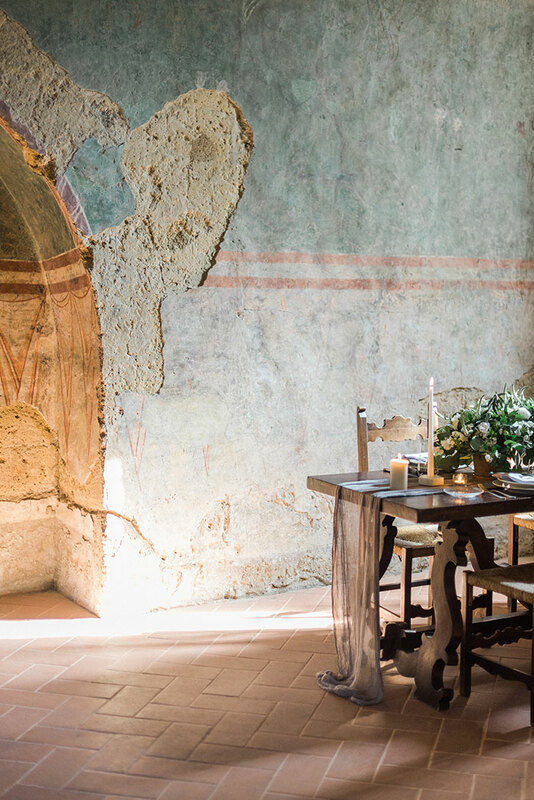 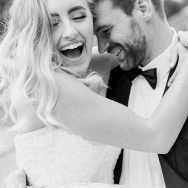 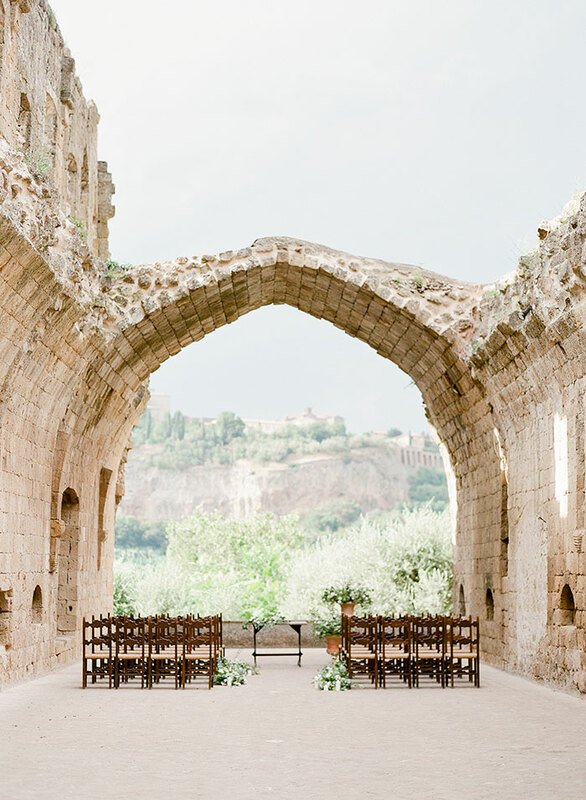 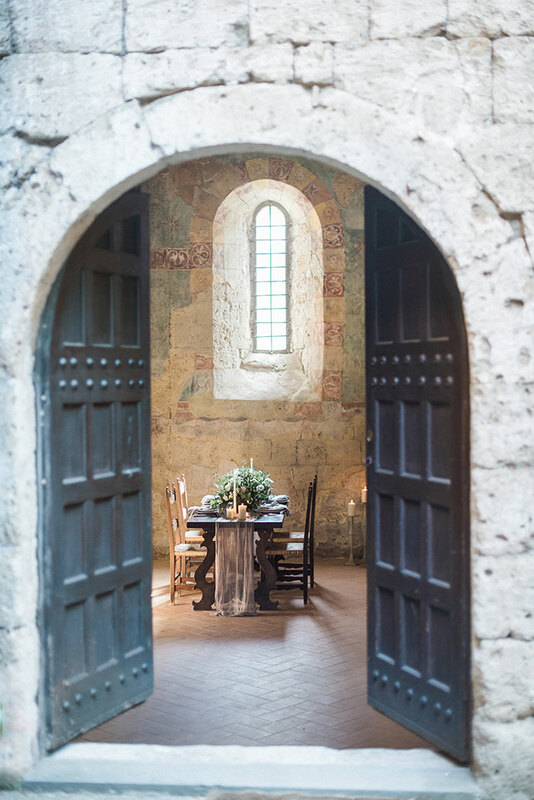 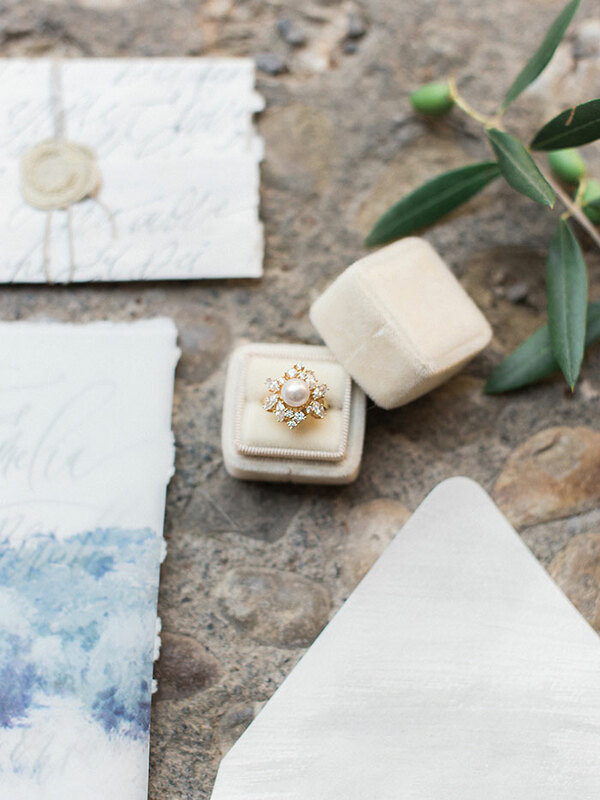 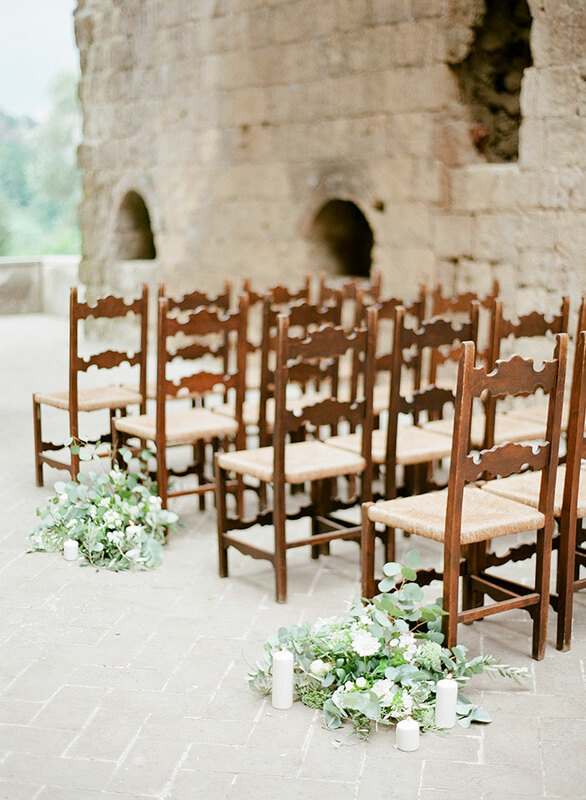 An simple ceremony in the arched remains of the church and a cozy, candle-lit dinner within the ancient fresco stone walls are both intimate by design. 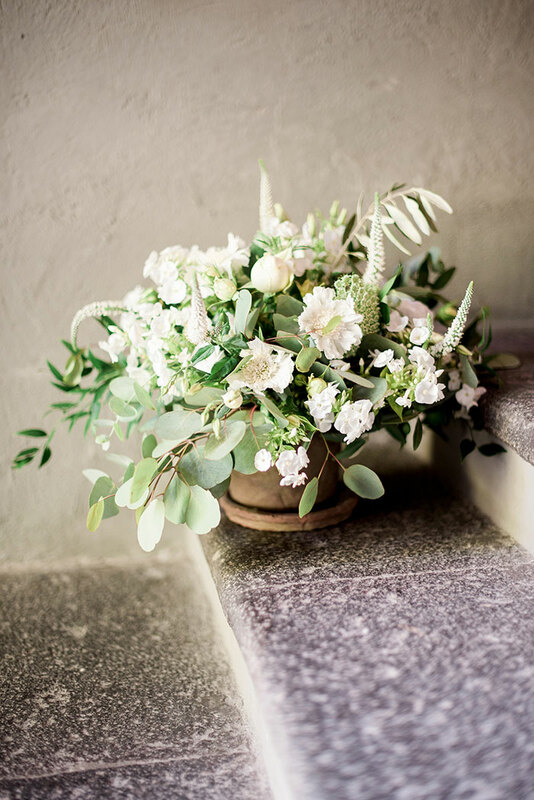 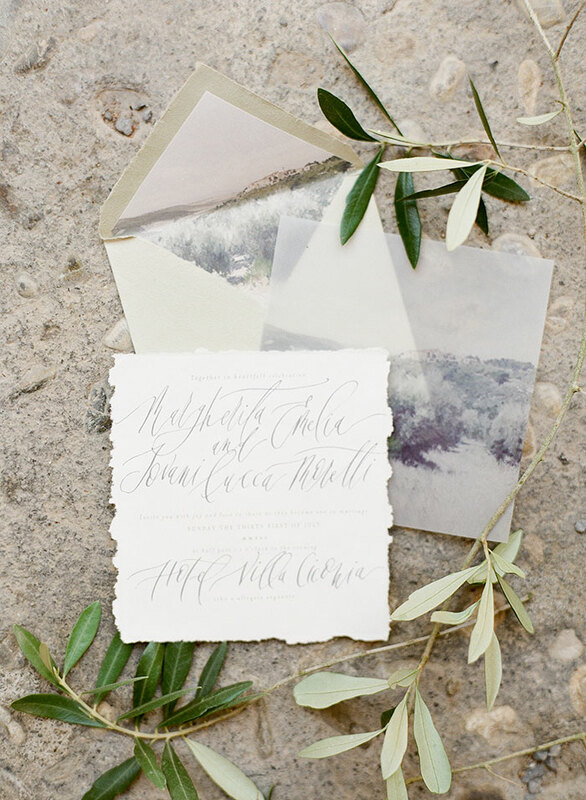 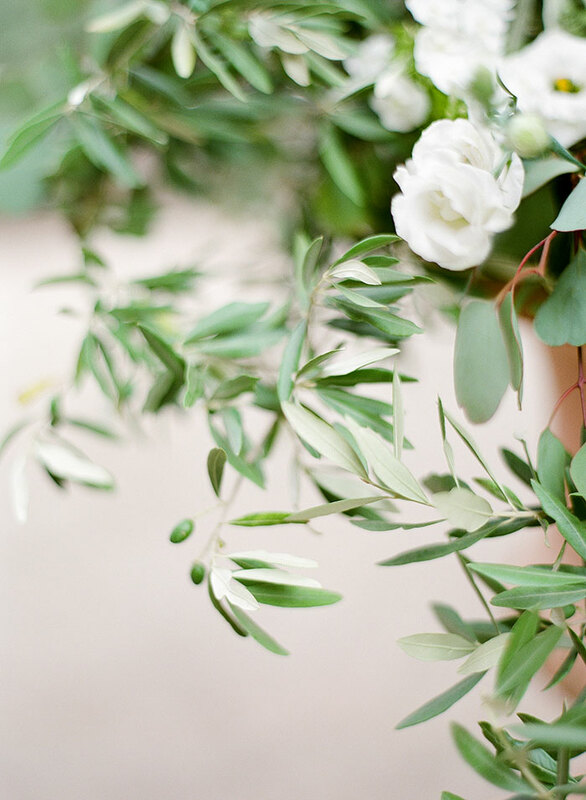 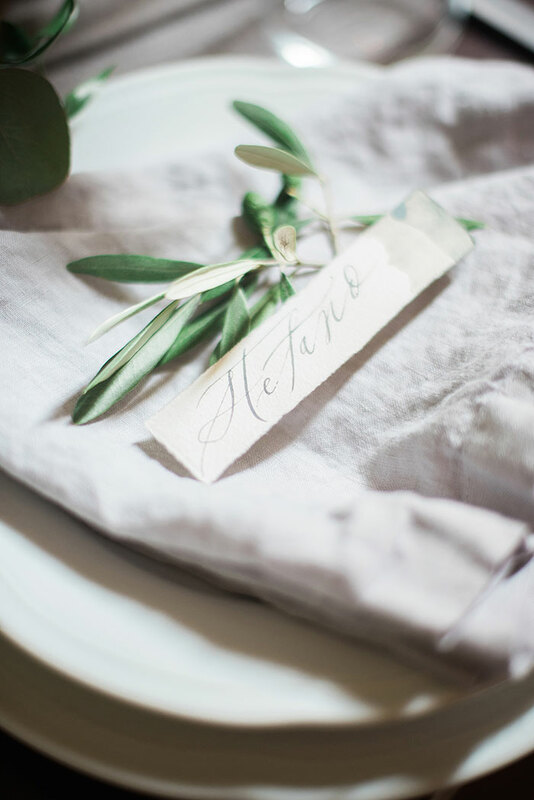 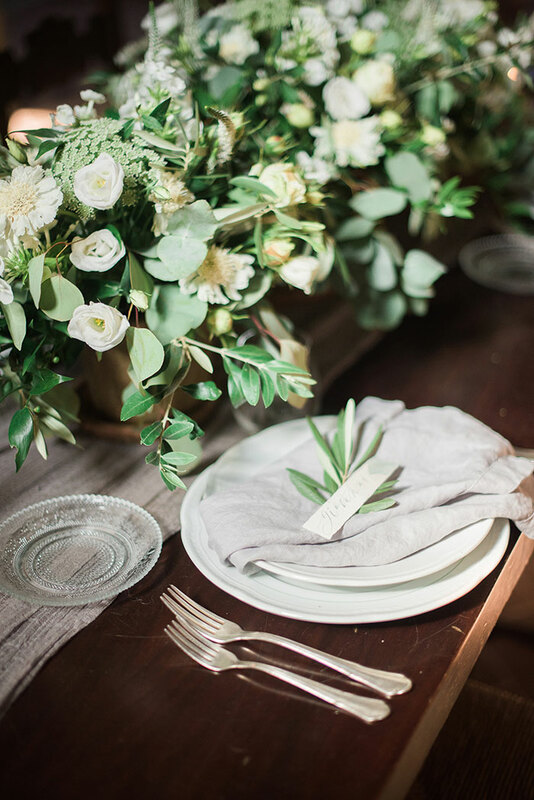 And Marta Petrioli with Flowers Living has utilized elements of the natural surroundings like olive branches and simple greenery to give a natural and gorgeous vibe. 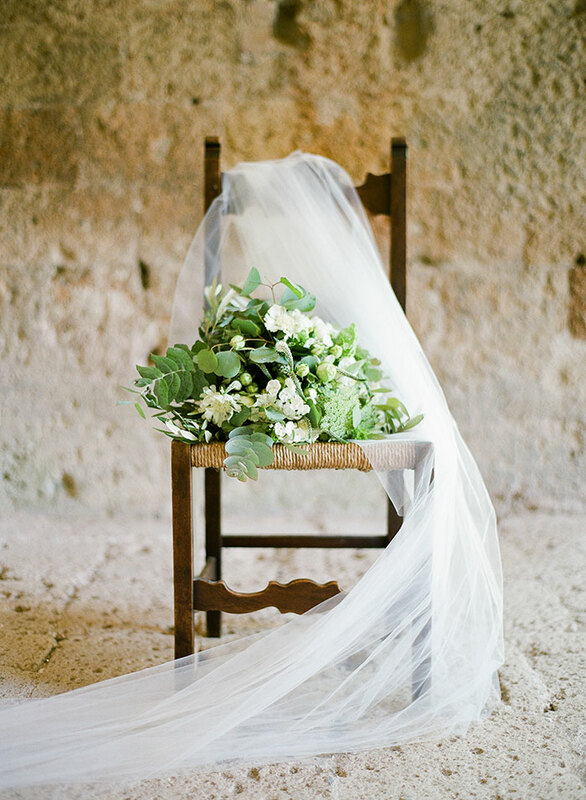 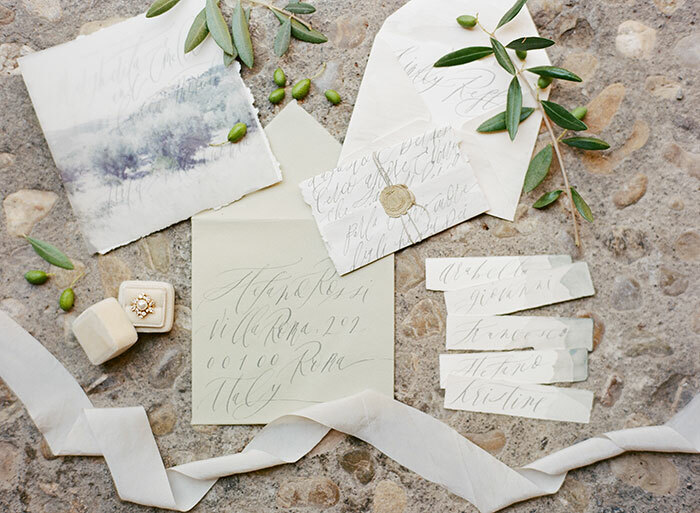 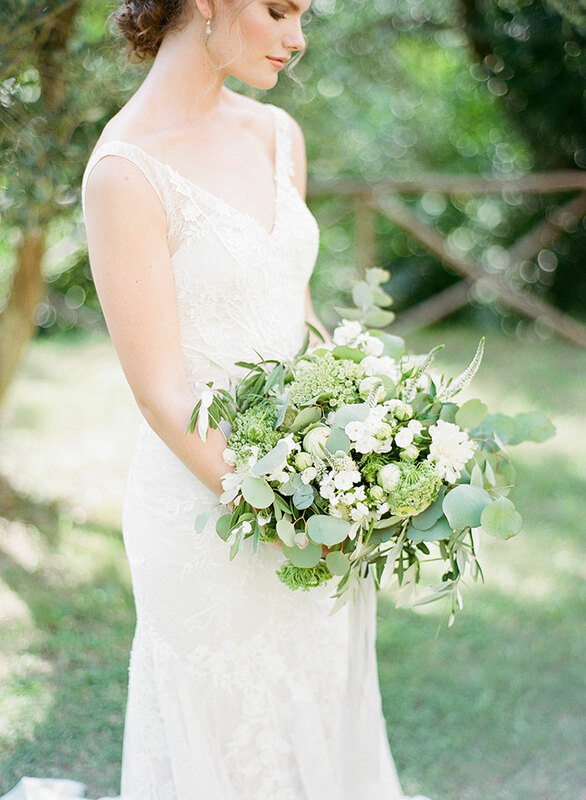 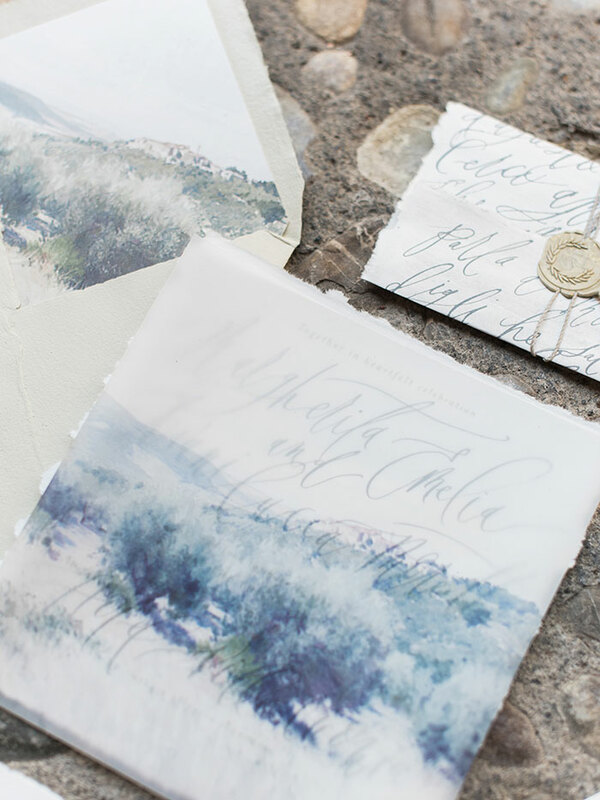 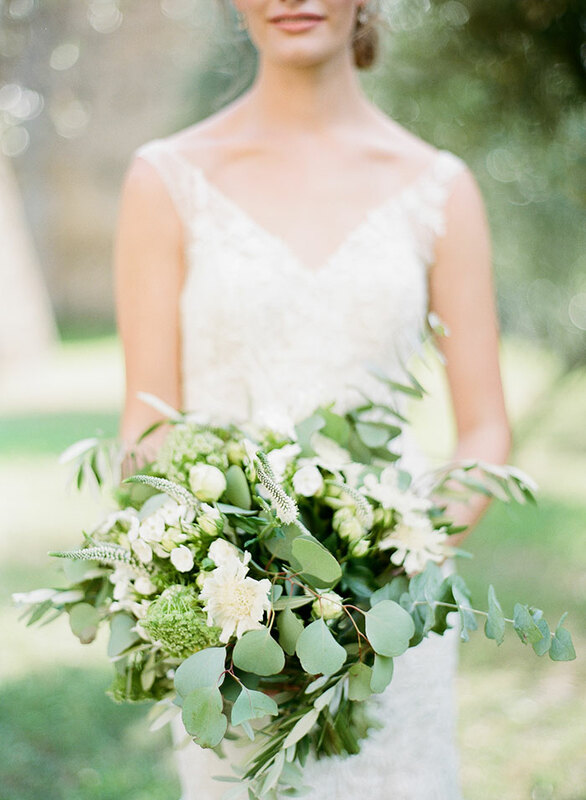 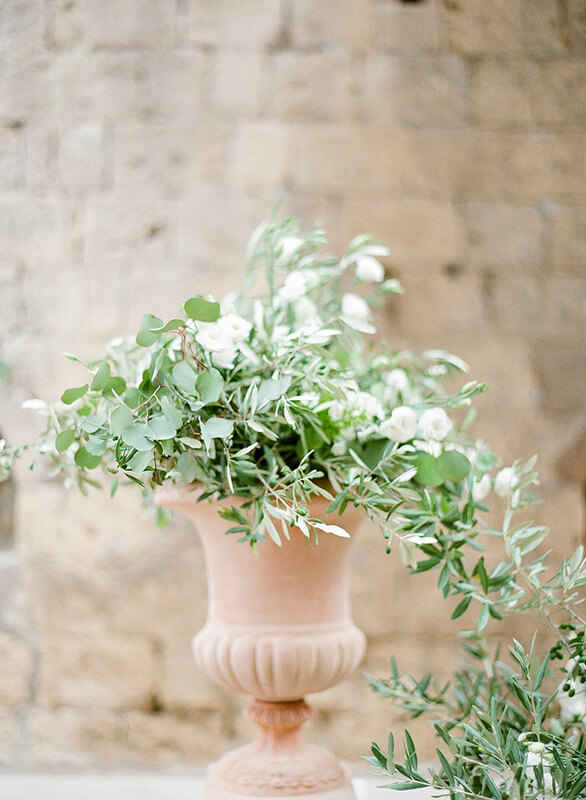 Julie Cate was on hand to work her magic behind the lens and we’re happy to be sharing her beautiful images of the Italian countryside inspiration with you today!